48 pots with 5 stars each Liang, for your beautiful artwork. Please come visit me and rate any of mine pots that you like as well :-) Happy new year. 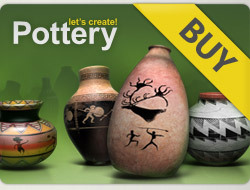 I visited again your wonderful galllery, I voted 5 * many pots! I invite you to visit my galllery too. Have a nice day! 80 POTS X 5★ WITHOUT WORDS. Rated the entire first page. Feel free to check out my latest work.